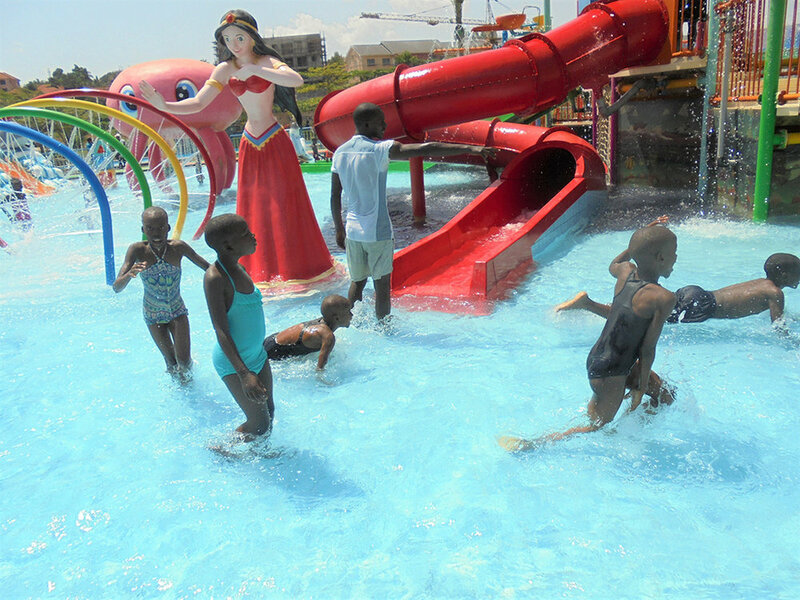 “We would like to thank every person that contributed towards raising funds for the Christmas outing at Quality Kidz water park. This was the best decision ever as a Christmas present towards the children. Everyone that went had a great time. It incorporated both the young and old. By 5pm, none among the children and caretakers wanted to leave though it was late and other children from Naalya Hillside (Phaneroo fellowship) had also come to enjoy the park. The day’s highlight was the water park full of so many amusements. For Community Education Support Project (CESP) children it was a great adventure and at the time of leaving, we kept looking for them as some would sneak back in bouncing castles, others played football with children who had come from Hillside Naalya. Thank you to all who have given towards the “Giving Gifts of Hope” Appeal, and a special thank you to BIS Group (www.bis-group.co.uk) for matching the first £1,000 donated. The children will be enjoying a Christmas feast today thanks to you all.